Fly into current technology use with this unit! The Deploy Drone unit plans will take student learning of drones, topography, speed calculations, and engineering practices to a whole new level. Students will learn drone piloting regulations, safety practices and piloting techniques and apply that knowledge as they are immersed in practical uses for drones in our society. Finishing the learning with an engineering challenge, students will gain a true appreciate of rapid prototyping and the steps of the engineering process. Students will track their learning through an engineering journal. The lessons in this unit will support instructors as they introduce students to the process, potential, and products of 3D printing. 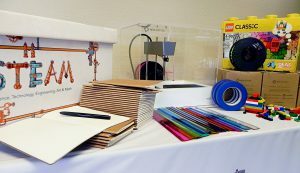 Beginning with a conceptual understanding and moving towards 3D printing with purpose, these lessons will support both instructor and student as they make their way into this exciting realm. 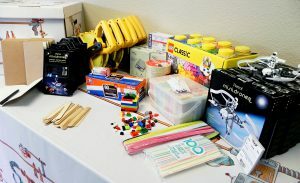 The lessons have a rich mix of manipulative activities, building 3D items in modeling software, and engineering challenges. Students will track their learning through an engineering journal. Module 8/9: What Will You Print? 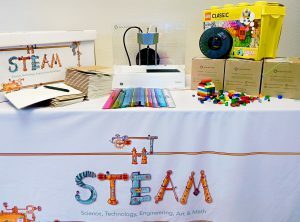 This STEAM kit will teach students to code Ollie through drawing, block, and text coding. 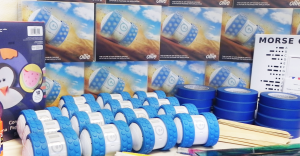 Students will explore various types of communication and relate them to the various ways they can communicate with Ollie. As students start to learn how to code they will learn how to relate block coding to text code. In addition to coding and communication students will expand their knowledge of geometry and physics concepts. Module 1: Communication – Hello, Ollie!